평창 상원사 목조문수동자좌상 복장유물(平昌 上院寺 木彫文殊童子坐像 腹藏遺物)은 강원도 평창군 오대산 상원사에 있는 목조문수동자상(국보 제221호)에서 1984년 7월 불상의 유래를 밝힐 수 있는 2개의 발원문(發願文)과 조선 전기의 복식, 전적류 등 23점의 복장유물이 발견된 유물이다. 발원문은 불상을 만들게 된 이유와 만든 사람들에 대한 기록을 담고 있으며 후대에 보수한 기록도 적어 놓고 있다. 첫번째 발원문은 세조 12년(1466)에 세조의 둘째 딸인 의숙공주와 남편 정현조가 세조와 왕실의 안녕을 기원하고자 오대산 문수사에 여러 불·보살상을 만들어 모셨다는 내용을 담고 있다. 크기는 세로 31.5㎝, 가로 24㎝의 낱장으로 되었고, 푸른 비단에 붉은색으로 글씨를 썼다. 또다른 발원문은 1599년에 2구의 문수동자상과 16구의 나한상 등에 금칠을 새로 하고 고쳤다는 내용이다. 크기는 세로 34.6㎝, 가로29.1㎝의 낱장으로 되었고 역시 푸른 비단에 붉은색으로 글씨로 썼다. 전적류는 모두 13종으로 백지묵서제진언, 대방광불화엄경, 오대진언, 묘법연화경 5종, 원각경 2종, 육경합부 3종이 발견되었다. 백지묵서제진언은 불교의 가르침 66가지를 범어로 옮겨 적은 것으로, 두루마리 형태이며 크기는 세로 41.8㎝, 가로 679.3㎝이다. 대방광불화엄경은 화엄경 60권 가운데 권28에 해당하며 간행 시기는 12∼13세기로 추정된다. 닥종이에 찍은 목판본으로 병풍처럼 펼쳐서 볼 수 있는 형태이며, 접었을 때의 크기는 세로 31.6㎝, 가로 12㎝이다. 오대진언은 다섯가지의 다라니 진언(眞言:부처님의 깨달음을 말한 글)을 범어, 한글, 한자순으로 적고 있다. 성종비인 인수대비의 명으로 당나라에서 원본을 구하여 한글로 음역하고, 성종 16년(1485)에 간행한 것이다. 글자를 하나하나 파서 고정된 틀에 끼우고 닥종이에 찍어낸 활자본으로 크기는 세로 27㎝, 가로 16㎝이다. 묘법연화경 권1-3, 4-7은 2권의 책으로 되었고, 크기는 세로 26.9㎝, 가로 16.8㎝이다. 작은 글자로 아주 정교하게 새겨 고려 정종 1년(1399)에 간행한 것으로 해린(海隣)이 1년에 걸쳐 새긴 것이며 인쇄 상태로 볼 때 판을 새기고 한참 후에 찍어낸 것으로 보인다. 묘법연화경 권1-7은 병풍처럼 펼쳐서 볼 수 있는 형태이며 모두 103장으로 되어 있는데, 접었을 때의 크기는 세로 24.1㎝, 가로 8.5㎝이다. 태종 4년(1404)에 간행된 목판본으로 표지는 검푸른 색이고 제목은 금색으로 쓰여있다. 묘법연화경 권6-7은 닥종이에 찍은 목판본으로 1권의 책으로 되어 있으며, 크기는 세로 35㎝, 가로 25㎝이다. 세조 때 간행된 을해자본으로 인쇄직후 불상에 넣은 듯 매우 깨끗이 보관되어 있다. 묘법연화경 권1-3은 닥종이에 찍은 목판본으로 1권의 책으로 되어있고 크기는 세로 27.6㎝, 가로 16.6㎝이다. 불상에 넣기 전에 읽으면서 달아놓은 토가 있는 것으로 보아 사용중에 복장유물로 넣은 것으로 보인다. 대방광원각수다라요의경은 세조 11년(1465)에 간행된 목판활자본으로 크기는 세로 27.7㎝, 가로 18.5㎝이다. 세조가 1465년에 원각사를 세우고 난 뒤 효령대군에게 명하여 교정한 원각경을 정란종(鄭蘭宗)이 쓴 것으로 을유자(乙酉字)로 찍은 것이다. 을유자본은 을유년에 만든 활자로 찍은 책을 말하며 그해의 간지를 따서 을유자라고 부르며, 이 책은 현재 전하는 을유자본 가운데 가장 깨끗한 책이다. 또다른 대방광원각수다라요의경은 권상·중·하 3권이 세로 25.1㎝, 가로 16.5㎝의 하나의 책으로 되어 있다. 이 책은 전에 강희안이 옮겨 적고 간행했던 간경도감판본을 명종 19년(1564)에 신흥사(臣興寺)에서 다시 새겨 찍어낸 것으로 그 새김이 매우 정교하다. 세로 29.3㎝, 가로 17.3㎝ 크기의 육경합부는 1440년에 영제암에서 판각한 목판을 인수대비가 성종 3년(1472)에 대대적으로 찍어낸 것 가운데 하나이다. 화암사에서 성종 19년(1488)에 다시 새긴 다른 육경합부는 보존상태가 양호하며, 크기는 세로 26.6㎝, 가로 15.7㎝이다. 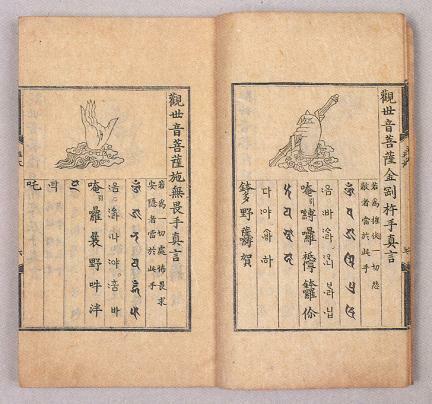 진안(鎭安) 중대사(中臺寺)에서 세조∼명종년간에 간행한 것으로 추정되는 또다른 육경합부는 크기가 세로 26.4㎝, 가로 16.3㎝인데 상원사 복장유물 중 보존상태가 가장 좋지 않다. 당시 상류계층에서 입었을 것으로 보이는 명주 적삼 1점과 생명주 적삼 1점은 불상을 만드는데 도움을 준 사람들이 공덕을 쌓기 위해 다른 유물들과 같이 넣은 것으로 보인다. 황색 보자기는 불상에 들어갈 유물들을 싸는데 쓰였을 것으로 보인다. 이 밖에도 구슬 3개와 사리가 같이 발견되었다. 위의 유물 중 발원문은 상원사문수동자상 및 여러 불·보살의 조성연대를 알 수 있는 귀중한 자료이고, 전적 중 제진언은 조선 전기 필사본으로는 유례가 드문 것이며, 그밖에 활자본과 목판본은 나름대로의 서지학적 특징을 갖고 있다. 또한 복식류는 조선 전기의 의류로 현재까지 원형을 고스란히 간직하고 있는 귀중한 자료이다. 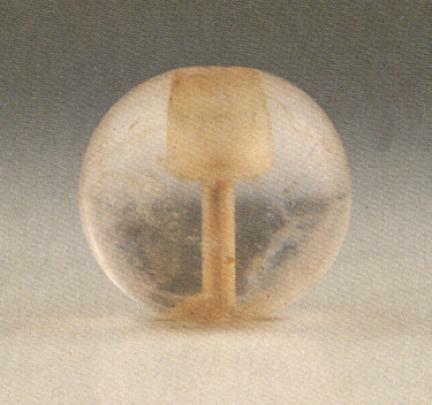 In a very rare case, several relics were found in a Wooden Seated Child Manjusri (Treasure No. 221) of Sangwonsa Temple located on Odaesan Mountain in Pyeongchang-gun, Gangwon-do. 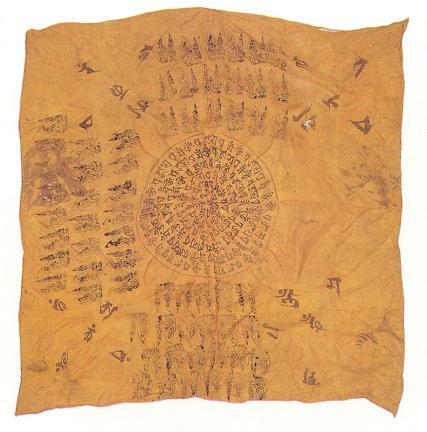 Two records on the origin of a Buddha statue and details about its manufacture, and 23 relics of the early Joseon Dynasty were found in July, 1984. 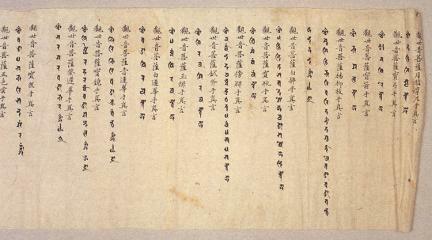 The first of the two records says that Princess Uisuk, the second daughter of King Sejo, and her husband Jeong Hyeon-jo placed Bodhisattva and Buddha statues in Munsusa Temple on Odaesan Mountain in the 12th year of King Sejo’s reign (1466) for the well-being of King Sejo and the royal family. 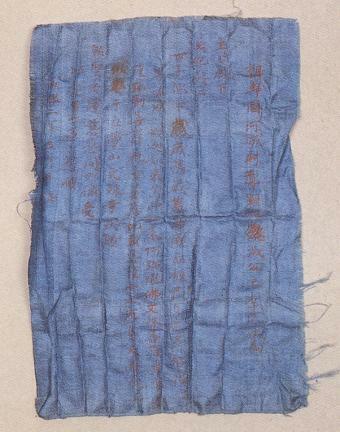 This record measures 31.5 cm in length and 24 cm in width, written in red on blue silk. 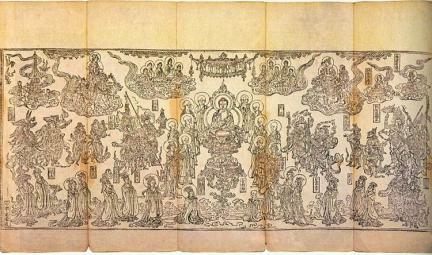 The other record says two manjusri, young monk statues, and 16 other Buddhist statues were repainted in 1599. 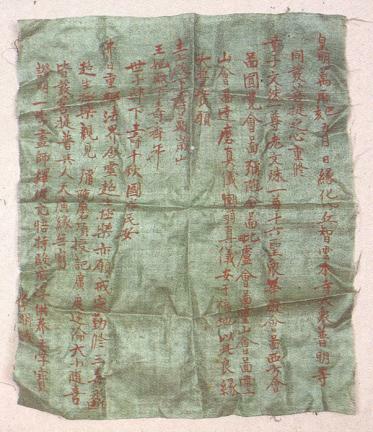 This also was written in red on blue silk measuring 34.6 cm in length and 29.1 cm in width. 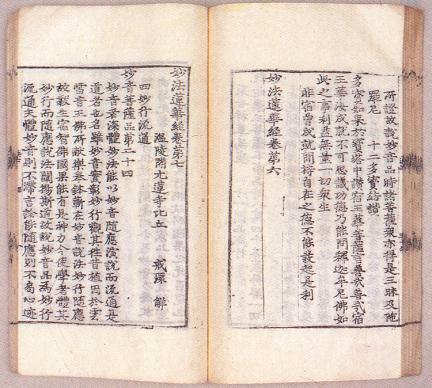 13 books including Baekjimukseojejineon, Daebanggwangbul hwaeomgyeong (Avatamsaka Sutra), Odaejineon (Five Dharani Sutras), five Myobeob yeonhwagyeong (Saddharmapundarika Sutras), two Wongakgyeong and three Yukgyeong hapbu (Six Sutras) were found. 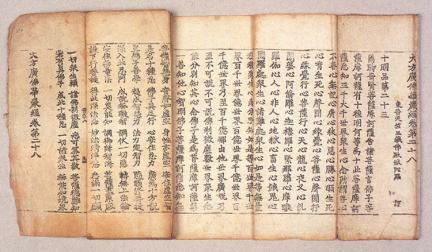 Baekjimukseojejineon, a transcription of Buddhist sermons, is rolled up as a scroll and measures 41.8 cm in length and 679.3 cm in width. 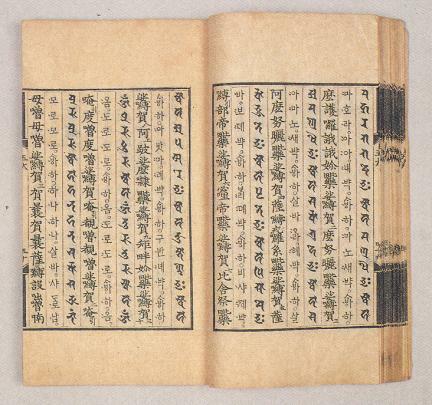 Daebanggwangbul hwaeomgyeong (Avatamsaka Sutra) is the 28th out of 60 books and presumed to have been published in the 12th or 13th century. 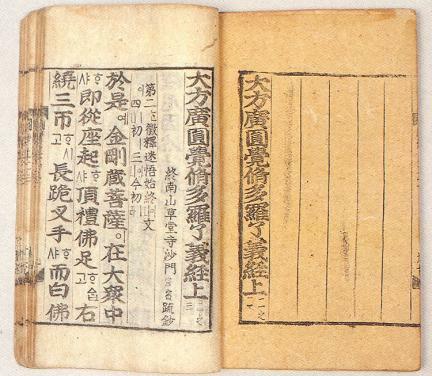 Measuring 31.6 cm in length and 12 cm in width, this is a collapsible piece like a folding screen. 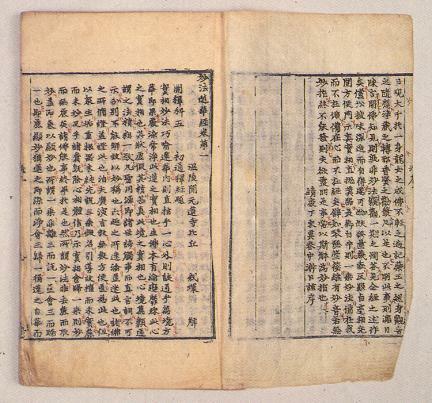 Odaejineon (Five Dharani Sutras) were written in Sanskrit, Korean and Chinese order. 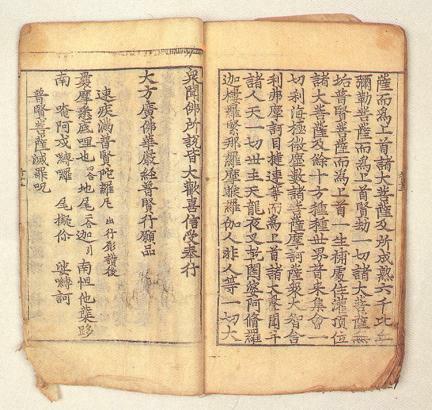 The original Buddhist scripture from the Tang Dynasty in China was translated into Korean and published in the 16th year of King Seongjong’s reign (1485) by order of Insudaebi, mother of King Seongjong. 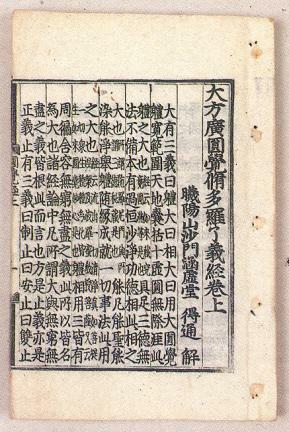 It is a woodcut edition, measuring 27 cm in length by 16 cm in width. 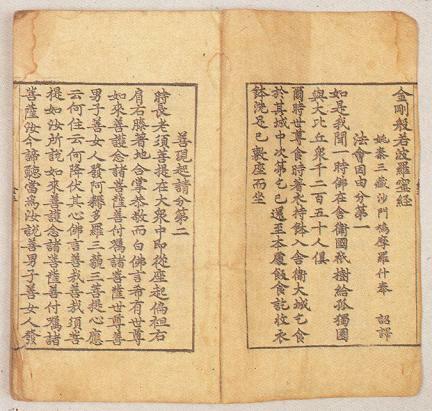 Saddharmapundarika Sutra, combining the 1st to 3rd parts and the 4th to 7th parts of Myobeob yeonhwagyeong, measures 26.9 cm by 16.8 cm. 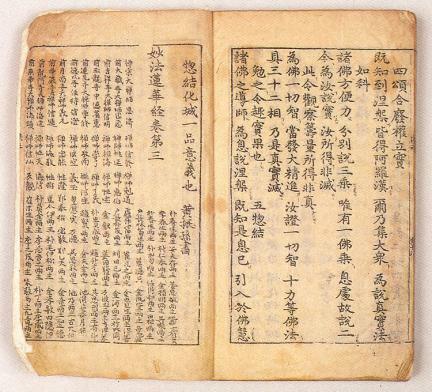 It was engraved by Monk Haerin over the course of one year, and published in the first year of the reign of King Jeongjong (1339) of the Goryeo Dynasty. 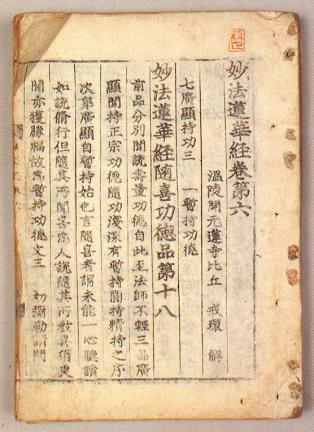 Parts 1 to 7 of Myobeob yeonhwagyeong measure 24.1 cm in length and 8.5 cm in width and are collapsible like a folding screen. 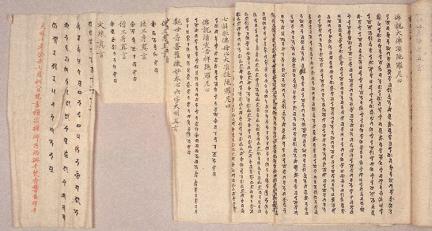 It was published as a woodcut edition in the 4th year of the reign of King Taejong (1404) of the Joseon Dynasty. Parts 6 to 7 measure 35 cm in length and 25 cm in width. 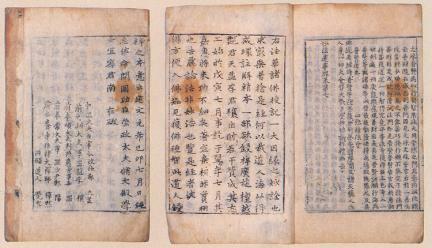 Parts 1 to 3 measure 27.6 cm in length and 16.6 cm in width as a woodcut edition. 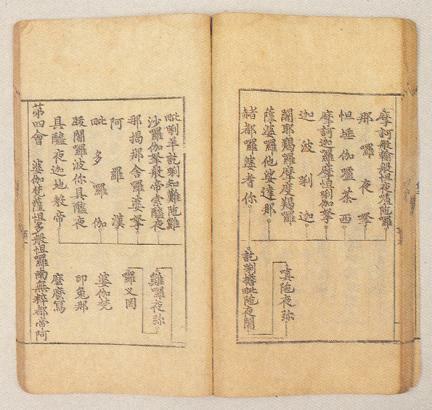 Yukgyeonghapbu (Six Sutras) measures 29.3 cm in length and 17.3 cm in width. 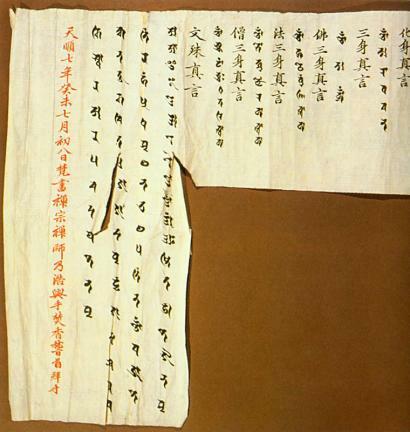 It was carved in 1440 and printed in the 3rd year of the reign of King Seongjong (1472) by order of Insudaebi, Queen Mother of King Seongjong. Later, it was carved again in Hwaamsa Temple in the 19th year of King Seongjong’s reign (1448) and measures 26.6 cm in length and 15.7 cm in width. 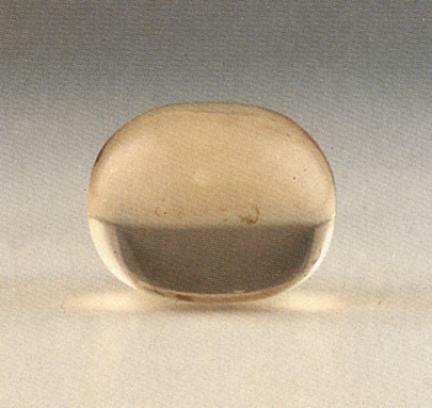 It is well preserved. 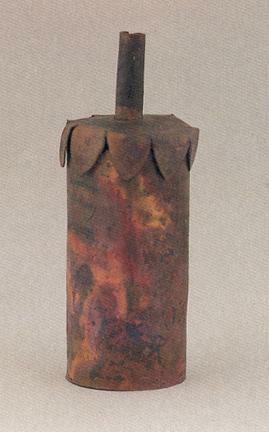 Another Yukgyeonghapbu, which is presumed to have been published between the time of King Sejo and King Myeongjong, measures 26.4 cm in length and 16.3 cm in width. It is in poor state of preservation. 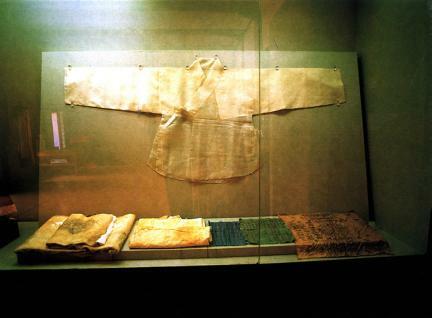 There are two Korean-style silk unlined summer jackets made for upper class people. 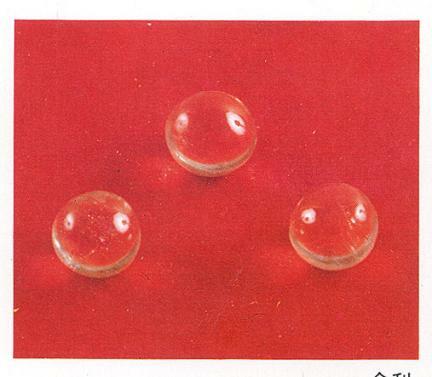 There are also a yellow wrapping cloth, three glass beads, and a sarira. 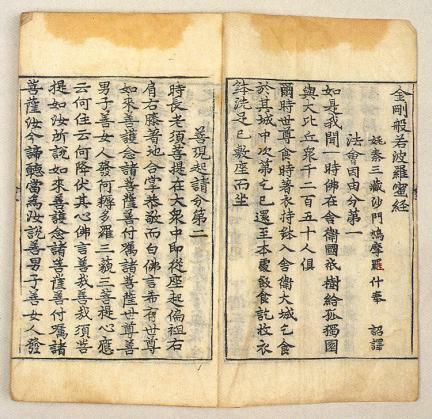 Of the relics, two records contribute valuable source indicating when the various Buddhist statues and Bodhisattvas were made, and Baekjimukseojejineon, the transcription of sermons, is a rare example of a printed book from early Joseon. 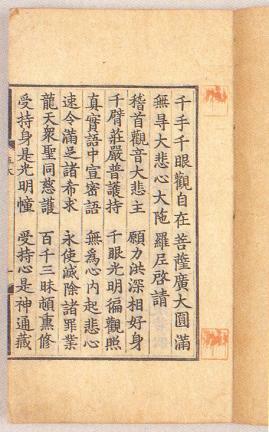 Other printed books also have their own bibliographical characters.